Available 24 hours a day 7 days a week, including special holidays, Palmway Locksmith offers the best locksmith services with the most competitive prices exclusively for the local community of Corona. With us, you don’t have to worry about waiting long for a locksmith service to arrive – we always have teams of skilled and experienced locksmiths ready to be dispatched to your location in Corona. With a 30-minute arrival time policy, you can guarantee that our licensed and certified locksmiths will always arrive on time. Especially during the case of emergencies, we make it a point to get to where you are as quickly as possible. Our courteous, professional, and experienced locksmiths are always ready to answer any questions you have and are willing to walk you through the entire repair services. 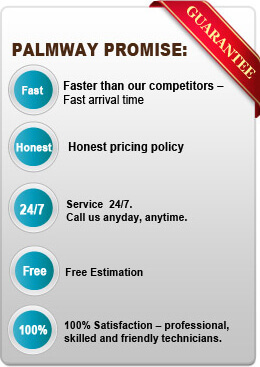 You can also relay any specific requests or concerns you might have regarding the services. For emergencies, we have a wide range of locksmith services for your car, house, or business establishment.